It’s the festive season and a time for games; but what game will your business be playing in the New Year? Snakes & Ladders was a family favourite at one time but I am sure it won’t be played in many homes in 2015. However, it is still seems to be a firm favourite of many businesses. You know the feeling; you work hard, get warm feedback and seem to be progressing up the ladders but suddenly the decision on your proposal is delayed with no new date set; you’ve hit a square with a snake’s head, you slither down a few layers and have to start climbing back again. Relationships with prospect or customers; seem to be developing well but at some point suffer a sudden reversal that proves difficult to recover from. Proposals; seem like the final stage in a smooth bidding process but suddenly the prospect is incommunicado or stalls about making the decision. Sales recruits; had great promise but fall short of your expectations once they are doing the job. There is one common factor that applies to all of these; you think you know how you are positioned but unbeknown to you the other party has a different idea. There is a closer link between the root cause of this issue and Snakes and Ladders than you might think. It is easy to feel out of control and blameless when playing Snakes and Ladders as progress through the game is dependent on the way the dice fall which is of course random. All too often the approach to developing customer relationships, pursuing opportunities and recruiting sales people is conducted like a game of chance. Imagine how easy things would be if you could determine the score that would come from each throw of the dice; fortunately such certainty is achievable, not with Snakes and Ladders, but in the aforementioned areas of business performance. The key to creating solid customer relationships that will endure and strengthen over time is to base them on what the customer needs from the relationship rather than what you need. Of course if what the customer needs fails to deliver something that is acceptable to you then the relationship will not last and should therefore not be started. You need to ensure that your engagement process enables you to spot these situations early enough that you don’t waste a lot of time before deciding to abandon the pursuit. Getting customer relationship building right is relatively simple but it does bring with it the potential for conflict and this is something that many people avoid. In my experience, rather than avoiding conflict, appreciating the potential for it to arise and managing it successfully will always deliver a better result and it is a crucial commercial skill to employ when building relationships. If your objective is to avoid conflict this also means you will be avoiding asking important questions. For example; in the process of building a relationship with a potential new customer you will need to discuss and agree the commercial terms for any business that you might do together so you will need to ask questions. But all too often suppliers do not ask the questions early enough to effectively handle potential objections for fear that it will create a disagreement that might damage their chances. Surely it is better to get this topic out of the way early, before it becomes the primary deciding factor, than do a lot of work before discovering business that you might do will be unprofitable or will involve unacceptable commercial terms? At an early stage ask the punchy questions. Here are few examples to get you thinking. Do we meet your criteria to become a supplier? How likely are you to ask us to tender for business? Is there anything about our company, our proposition, or the people you have met that might put you off working with us? Ensure you fully understand the decision making process and landscape; who gets involved in decisions and what process do they have that you will be expected to align with? Once you understand the full list of those involved in decision making ensure you meet all of them. This will equip you with multiple lines of communication that will help you if the primary point of access becomes difficult to contact at some point. Don’t confuse relationship building with pursuing specific pieces of work. If you start to pursue a piece of work before you have a complete relationship your chances of being successful are diminished. Many companies have a sales approach whereby sales people do not spend time with a prospect until there is an opportunity to bid for and while this may seem like an efficient use of time it is not an effective way to maximise your success rate for winning new work. Following these steps will help to ensure the dice falls more favourably and you are better prepared to avoid the squares with snakes’ heads. We have discussed this issue in other articles so I will just provide a refresher on the key points of the approach we recommend. Picking up from the previous topic; don’t bid for work until you have a sufficiently established relationship to understand the dynamics of the customer’s decision making process and what will motivate them to decide. Understanding your customer and what matters in their business will help you to craft winning proposals. The right time to present a proposal is when the customer is ready to evaluate what you have to say in the light of a decision they are trying to make – not when your sales process says it is time. All too often I see sales people who have a first meeting with a new prospect and they close the meeting by saying “would you like a proposal?” – few prospects will say No either because they are too polite or because they would like some free research and insight. A quotation is not a proposal. A proposal is “A plan or suggestion, especially a formal or written one, put forward for consideration.” The whole point about a proposal is that it should provide a vision of what the future will look like if the prospect goes ahead with what you are proposing. With a quotation the only thing the prospect can consider is the price you are quoting in which case they are likely to haggle. Before presenting a proposal ensure you have an agreement with the prospect for all the steps and stages from proposal presentation through to final decision. If they cannot tell you what is going to happen it probably means they don’t have a real intention of making a decision at all. Don’t be shy to politely decline to bid – they will respect you for this, it will probably strengthen the relationship and you are more likely to be told when there is a real opportunity to bid for. Again, the above steps will help determine the score you get on the dice. I regularly hear complaints that recruiting good sales people is very difficult these days. As we undertake recruitment projects for customers I can confirm that it is tough but it is still doable. Early in 2015 we undertook an assignment to recruit 12 account managers and completed the project in just under six-weeks – so it can be done. One of the main difficulties arises because the investment in training and development in sales and selling skills has been progressively cut since the mid 1990’s. So; finding well trained and qualified sales people is difficult and as a result a lot of recruitment decisions are made on the basis of taking the best of the bunch rather than just the people who meet the standard you are seeking. In effect, the seeds of disappointment have been sown even before the person joins you. Create a job definition that truly matches your expectations for the role – don’t try looking for a ‘Superman’. Create an advert or other candidate sourcing techniques to match the nature of the job. Ensure your evaluation and selection process is rigorous and independent of any influences other than the desire to recruit people that fully match the job profile. If you use external agencies to source candidates use different people to help in the final selection. Once you decide you are recruiting someone prepare thoroughly for their arrival. You need to consider on-boarding but also a comprehensive induction into your company. During the selection process you will have identified their strengths and weaknesses; ensure their manager is fully briefed on the particular support they will need and an appropriate training programme is scheduled early in their tenure. Ensure that all tools and collateral they need to do the job are ready for their arrival, but more particularly ensure that they understand the nuances of what you provide that makes you different from competitors. To be truly successful sales people need to operate within a regime of proactive sales leadership where the most important facet is regular one-on-one coaching by the line manager and periodic training/refreshers. Regardless of experience or track record a newly recruited sales person is raw material to your organisation and the responsibility for turning them into a fully effective employee rests with you, the employer. This may sound like hard work but it is much less effort than will be expended struggling with under-performance, or staff churn and the need to regularly re-recruit. Doing all of the above goes a long way to helping you to dictate the score on the dice. If you want to load the dice in your favour and avoid the snakes’ heads you need to create the right foundations as outlined above. If you get all of this right you can begin to play with a reasonable expectation of winning as you will progressively be able to accurately forecast the outcome. Time is a precious commodity in any business so we all need to ensure we spend it wisely. When we commit ourselves to any activity we need to know, with a reasonable degree of certainty, that we will get an acceptable return for the effort invested. While this can be said about any business activity the need to spend time well is at its most acute when prospecting for new customers and new business as; to fail at finding enough new business can put the whole company at risk. In this context it is quite simply information that equips you to be more discerning and precise in your prospecting activities. Useful information can be readily gleaned through on-line and off-line research and should be a standard element of all prospecting activities. Before you leave the office or pick up the phone you should know what you are heading into. It is any activity that enables a business to identify companies or individual people (depending on what your business does) who might want or need what you do and so could become new customers for you. We class these identified companies or individuals as suspects; all you have is an external view that suggests they have the potential to become customers for your business. How can Intelligence help you look for new suspects? The classic sources of prospecting for new customers or opportunities of; cold calling (telephone and face-to-face), advertising, mailshots and exhibitions have been joined by; social media, LinkedIn, networking (face-to-face, on-line, organised and casual), e-mailing, in-bound marketing, blended in/outbound marketing, SEO and other website strategies, seminars and other executive speaking opportunities, referrals, introductions, recommendations and the list goes on. This is not an exhaustive list and more are coming along almost daily – you must choose carefully the combination of prospecting sources you will use to protect the use of precious time and funds. This is the first point where intelligence will help you to focus your efforts – by studying what works and what doesn’t, you can decide on the optimum mix of activities for your specific business needs, market and products/services and thus create your ideal prospecting environment. How else can intelligence help your prospecting? LinkedIn – if you want to be seen on LinkedIn by organisations or people that might have the potential to become customers then you need to be in the right places. If, for example, you provide a commercial cleaning service in the home-counties there is no point joining/starting a group focused on business in Yorkshire or a group focused on, let’s say, baking. Physical networking – as with the previous example you need to attend networking events that are most likely to attract people who might be interested in what you do. Before you commit to an event do the research; what type of people have attended in the past, if there is a speaker is the subject relevant to what you do and if a list of attendees is available look them up before you commit to attending. If you do attend make a list of people you want to meet and seek them out. The basic principles established in the previous examples will also apply to; exhibitions, speaking opportunities, advertising, publishing blogs and articles. You need to do the research before spending time and effort on any prospecting activities to ensure you will be in the right place and with the right people. One area that requires a special mention is telephone prospecting. Some call this cold calling but we see it as warm calling or more accurately and simply telephone prospecting. If all you do is pick up the phone and call anyone then it is cold calling and it is also a very poor use of your time. Fortunately technology provides us with excellent tools and facilities that enable detailed research to be conducted before a programme of telephone prospecting commences. The starting point is to create a profile of your “ideal” suspects and undertake the research to identify companies that match the profile. Consider a relatively simple example of a profile; insurance broking firms, turnover between £5m and £10m, no more than 40 employees and based in the Thames Valley. Using web based tools you can quickly identify a short list of companies that match your criteria but you can also find out contact names, telephone numbers, e-mail addresses, web presence (or not), and other useful information about the current state of affairs that will empower the conversations you have when you call. Now your telephone prospecting activities will be much more focused and productive. If you don’t follow the research based process outlined above, then you will effectively be taking a business directory, calling every insurance broker in the book and suffering time wasting rejections. This is the needle in the haystack approach not the intelligence led approach. Sales and selling is at its most effective and productive when approached systematically and research to equip yourself with intelligence is the most effective way that I have found to make it systematic and to make the outcome from my prospecting effort predictable. Try it; you never know, you may even enjoy it and it is mainly free – how bad can that be? Return on Investment (RoI) modelling is a simple yet powerful concept that is very useful for comparing the value of different approaches to a project or other activities. As a result it is also a very useful selling tool as it enables a sales person to help a prospective customer understand the value of what is being offered compared to; a competitive solution, the option of the customer doing it themselves, or doing nothing at all. For some, RoI is a tool that can only be applied to products but it is potentially even more useful when comparing service or solution alternatives. Your prospective client will have resources dedicated to delivering what you are proposing to provide and they will be using whole resources. Consider an IT installation, they will require; people, hardware, software, an equipment room, air conditioning and office space. All of those resources are dedicated 100% of the time to the IT function whereas a service provider will be able to time share resources so the client will only pay for what they use rather than what they own. Another benefit of using RoI in a service or solution environment comes from its ability to help make the intangible tangible; it forces people to appreciate the true cost of what they are currently doing rather than just seeing the direct costs. While most people accept that RoI is a simple concept many find it hard to apply and as the character in the cartoon suggests the most common problem is finding available data to populate a RoI model. I do not think the data is a big issue and having found this to be such a powerful and useful selling aid I would like to share some ideas and tips as to how you might overcome the data issue enabling you to apply RoI when selling your propositions. When considering RoI there are a number of related concepts that need to be considered as well. Total Cost of Acquisition (TCA) – the total amount you have to spend to complete a purchase and become the owner. For example; when buying a car there will be an advertised price but to acquire the car you actually want will have to spend additional money over and above the price e.g. optional extras, insurance, road tax, delivery charges, etc. Total Cost of Ownership (TCO) – the total outlay to own and use what you have bought. Continuing with the car analogy, in addition to the TCA, the TCO will include; maintenance and repairs, roadside recovery service, fuel, renewal of insurance and road tax, interest if you buy on a loan and, the big one, depreciation. You may even have to include the cost to garage the vehicle, or purchase a resident’s parking permit. Price Cost Value (PCV) – simplistically, the price is the TCA, the cost is the TCO and the value is the difference between what the purchase costs and what you gain from making the purchase. If owning a car means your commute to work will take less than an hour whereas you now spend close to two hours with several changes on public transport the value in the purchase is the convenience and comfort of travelling in your new car along with the additional hours of free time. If you present a RoI case, to support something you are trying to sell, you must take account of TCO and PCV as basing it simply on TCA will produce a misleading result that understates the position which in turn damages the credibility of the claims you make to support your proposed solution. This is a timely point to remind ourselves that decision making is not just a simple clinical calculation and it will involve subjective and emotional as well as objective assessment criteria. RoI mainly focuses on the objective evaluation but to gain best value you need the prospective client to trust you so you will need to pay attention to the emotional and subjective factors as well. All too often prospects use “you are too expensive” without fully appreciating what they are currently spending. What RoI achieves for you is to create a clinical comparison between current and potential future cost. What is so hard about RoI? Provision of an IT service requires; hardware, software, security, air conditioning, people and floor space. There are many other smaller items but these are the main building blocks. I will use the people element as an example to illustrate the importance of like for like information being used for a RoI comparison. The TCA calculation of employing a person must consider the costs of; recruitment, induction, training, salary, NI, variable compensation (including emergency overtime), sick pay, pension and management, facilities & HR overhead. However, it is common for a client considering moving to an externally hosted solution to consider just some of the cost elements of employing their own IT staff and typically just; salary, NI and other direct costs such as sick pay and pension. However, the other cost elements are a factor and they will no longer be there if the decision is taken to outsource the hosting of IT so must be included in the comparative evaluation. Using such a limited data set will generally tend to make the external solution look relatively expensive. While this is not good for a potential supplier it is even more serious for the client as it means they do not have a real grasp of their actual IT costs. So, the dilemma is; if potential clients do not have a complete picture of their current costs, or they disregard some items that should legitimately be included, how can a fair comparison to be drawn with an outsourced solution? How can you address this dilemma? Build the model around the particular proposition; the information from a generic model will never be as believable as that from a specific one. So, for example, in the case of a hosted IT service the model will include a people element and this must include all the employment costs not just the direct ones. Once developed present a blank copy of the model to the prospective client. Ask them to populate it using their own figures. If the client says they do not have some of the figures provide them with industry norms using well recognised and respected sources – agree this in advance. Ask the prospective client to share their findings with you and compare their result with your quotation for providing the service. If you have established a good working relationship with the prospective client there should be no problem with them agreeing to this. If they do not wish to share then simply ask them how their figures compare with your quotation. Decision making involves a mix of quantitative, qualitative and emotional factors so depending purely on RoI is unlikely to work. At the beginning of the engagement with a new prospect undertake a process of discovery where you can explore everything that the prospect will consider when making a decision. Your RoI model needs to cover all of the direct and indirect cost elements that the prospective client is already meeting. As you are providing an alternative solution you are fully aware of all the components of cost so it is easy for you to build the cost model. If the prospective client is unable to populate some areas of the model you can help by providing norms from respected industry bodies. RoI mainly looks at cost and having created a genuine comparison between current and proposed costs you now need to move to the evaluation of value as this is what will justify a higher price if that is what the RoI model has suggested. Even if the cost of your proposition is lower you need to focus on the value you will deliver to satisfy the emotional component of the client’s decision making process. Consider as an example of value; your discovery process established the client is keen to improve the service it provides to its customers. They are much more likely to decide in your favour if you have demonstrated that your solution will deliver the required improvement in customer service. Even if the RoI model showed your solution as being more expensive the value of improved customer service that your solution will deliver is still likely to win the day for you. Even if they do decide to stay with their current solution, they now have a clearer view of their real costs. Be aware – rarely is no a “no never” it is most likely a “no not now” so you should re-visit them at some point when you may well find yourself pushing against an open door. They will have had time to reflect on what they learnt from engaging with you and the idea of change may seem less scary with the benefit of hindsight. They may also have recognised the value you added through your approach which is likely to make them feel you will be a good partner that they can rely upon. A common question is – when should you re-visit a prospect that has said no? When the time is right! You will know the right time if you have asked the right questions during your discovery process. The right time will be; when an existing supplier contract is due to expire, or when they are formulating the next annual budget, or when they are opening that new branch office. When you return, focus on what you discovered that will matter to them and they will appreciate the fact that you have empathised with their position. Use it or lose it can apply to many things and is commonly used in reference to such as brain function or muscle tone but what I want to address here is the relationships you have with your customers and the risk you run of missing out on their potential lifetime value. A common belief is that it takes 10 times as much effort to gain business from a new customer as it does to gain additional business from an existing one. If this is the case then the effort that you put in to nurturing and developing established customers should be proportionate to the gains that can be made. But all too often, relationships with customers are considered to be ’done & dusted’ – you have put in the effort, you won the first piece of business and now you have a customer for life? But that first piece of business is not the end, it is only the beginning of what will be a lifetime’s work for you. Customer relationships are living breathing things that will change, evolve, move forward and retreat over time. Neither the customer’s organisation nor your own is static and the relationship needs to be updated and refreshed in line with each significant change or better still as an ongoing evolutionary process. Don’t assume they will come to you – if you’re out of sight you’re out of mind. Don’t assume they are not being bombarded by your competitors – be alert to where temptation may strike. Don’t assume they are the same as the last time you saw them – be sensitive to changes in market conditions and personnel. Don’t assume each person you meet from the customer has the same needs or that they will think the same way about you and your company – you must work to gain the respect of each individual contact. Don’t put a price on everything you do for them – relationships go beyond the revenue you can bill. Stay in contact even when there is no revenue earning work to do. You are an expert in what your company does and you deal with many customers so your knowledge, within the context of your proposition, is greater than that of any of your individual customers. Take your knowledge to them and share freely. By demonstrably adding value they are more likely to feel the benefit of the relationship beyond the value of using your products and services and are more likely to want to stay loyal. Sell them everything you do. Most new relationships start with just part of the supplier’s range and it is your job to ensure your customers know everything you can do. Cross-sell – if you are in one division or subsidiary ask your contacts to help you into others. Up-sell – you may have started the relationship with quite a small deal but don’t let that pigeon hole you – move up! They can now see how good you are so are more likely to be confident enough to trust you with bigger opportunities. Take them new things; don’t assume they will find out for themselves about your future products or services. Watch their evolving needs and requirements and consider how you can change what you do to keep yourself relevant to them. Watch their market environment and become a trusted advisor on how to prepare for and deal with external impositions and opportunities. Don’t just call them when you want something – be a giver as well. Consider what you can do for them that may be small for you to give but important for them to receive. Final thought; while using a CRM is a very useful way to keep track of the activity between your company and each customer, don’t fall into the trap of assuming the CRM is the whole solution. Relationships are about human communication so you must invest to have the right people with the right skills if you want to gain the full lifetime value from every one of your customers. ABC – Always Be Closing? No, not that nonsense. While there is merit in the concept of exploring what will be required to successfully close the deal throughout the sales engagement process, as opposed to waiting until the final meeting after you have submitted your bid, most prospects will spot the classic ABC technique and be inured to it. So, rather than enhancing your chances of winning, Always Be Closing may well have the opposite effect. So, what do I mean by the ABC of selling? Assume nothing, Believe nothing, Challenge everything. This is a simple framework that helps to structure sales engagements that if followed will increase your chances of winning more business, reduce the time wasted on deals you cannot win or that will never happen and earn the respect of genuine prospects who are looking for a professional company to become their next supplier. Well actually making assumptions is fine and it is a valuable part of a professional sales engagement process. What is wrong is acting on assumptions before you have tested them with your prospective customer. For example, you may have concluded from publicly available information that your prospect is on a drive to reduce costs and as a result you plan your first meeting around explaining just how cost effective your solutions are. You can see how dangerous this could be if the prospect does actually have a cost reduction initiative underway but in the area of their business where your solution might fit they drive is for a safer more reliable solution. Perhaps they are just coming to the end of a three year contract with a supplier that came in on a low price ticket but has failed to deliver on time and to agreed quality standards on many occasions. So, before you go headlong into your “we provide very cost effective solutions” ask questions to establish what the prospect wants and needs and what things will motivate them to decide in favour of one supplier over another. Ask questions, listen carefully, interpret and modify your planned approach accordingly. Strictly I am not saying prospects and customers lie, although some do! Really what I am saying is that you should believe nothing without first ensuring you fully understand what you have been told. For example, the prospect tells you they are looking for a safe and reliable solution in some area of their business. That seems quite straightforward but could it have different meanings or nuances? Again this is about the effective use of questions to explore and delve into and behind what you think you are hearing. The words safe and reliable are not absolute terms so you need to explore the requirement in terms of how safe and how reliable. If, for example, you have an IT solution that will provide guaranteed up time of 99.99% 7*24 you may think telling the prospect this will impress them and indeed it might. However, if what they are looking for is 99% between 08:00 and 18:00 Monday to Friday they are likely to conclude that your solution may be more expensive than they need to pay, yet they probably won’t tell you so. So, listen to what you are told and ask questions to ensure you fully understand what the prospect really wants and more importantly needs before you offer or suggest anything. If they are currently paying for full 7*24 cover or your competitors are quoting for it and you can offer something that will cost them less while delivering exactly what they need you will have made progress towards becoming their new supplier of IT support services. Make assumptions but test each one to destruction. Listen to everything you are told but don’t believe it without checking and double checking you are all meaning the same thing. Challenge everything that you do not understand or agree with; be polite but do it. The ABC formula provides a useful framework for structuring and conducting sales prospecting calls and meetings. This is not a onetime thing and you should repeat the process every time new information appears and with each new person you meet in the prospect’s or customer’s organisation. Who feeds your pipeline; hunters, farmers or browser/gatherers? How do you balance new business hunting with account farming? This is an age old dilemma that in some ways has been made worse by the now very common approach of separating the new business selling and account management roles to be undertaken by different people. To further complicate the matter these two roles frequently report into different managers. Add to that the discrete role of business development (canvassing and prospecting) and you have the potential for silo mentality. When I started in sales I did the lot; new business canvassing and prospecting, new business selling and once the deal was secured I continued to be responsible for managing the customer; looking for more new business plus upgrades and add-ons to the original deal. Don’t get me wrong; I am not suggesting a return to the days when one person did all three main sales and selling functions, but I am strongly recommending you invest time and effort ensuring the three functions operate as a fully integrated unit with a single purpose. There has been a lot of debate in recent years about the benefits to be gained from having a joined up marketing and sales operation; a principle that I fully support. However, even greater benefits are there for the taking from a fully integrated sales and selling function; business development, new business selling and account management. Link this closely with all of your marketing activities and you are on the way to creating a really powerful go-to-market engine for your company. In the current marketplace when products and services can be copied easily and quickly it is often easier to create competitive advantage through your sales and marketing engagement process than it is through proposition refinement. Here I am providing some insights to potential pitfalls and solutions you might consider for your own go-to-market operation. Business development (BD) – responsible for filtering the market potential down to well qualified suspects and prospects ready for the new business function to pick up. This function will be involved in tasks such as responding to in-bound enquiries and making outbound calls; of the three sales functions this is most closely aligned with the marketing function. New business (NB) sometimes called the hunter role – this is a pure selling function and their responsibility is to take suspects and prospects, turn them into customers and secure deals for specific business opportunities. A key input for them comes from the business development function and the primary output is new customer projects. Account management (AM) sometimes called the farmer role – responsible for taking new customers and managing the implementation of the project. Typically this function will continue to be responsible for the relationship with the customer from this point onwards and as such should be responsible for identifying and closing add-on, extension and also further new business opportunities. Over time they become the trusted delivery partner and the customer will potentially become a good source of referrals and introductions. The BD, NB and AM roles require slightly different, but related, skill sets so having separate functions facilitates specialisation in the three disciplines. Separating the functions enables 100% focus on each of the three key sales and selling disciplines. When the roles are undertaken by a single person there is always scope for conflict when multiple, equally important, tasks are begging for attention at the same time. The skills required to hunt effectively are less well suited to the patient nurturing required to maintain and grow the customer relationship and hence an argument in favour of splitting the NB and AM roles. Customers typically appreciate the need for ‘hunting’ techniques while a deal is being done but then may prefer to see a more consultative approach to the account management phase of the relationship. With the roles being undertaken by separate functions there is an inevitable need for hand-over; leads generated by BD passed to NB and deals that have been concluded involve customer relationships being handed over from NB to AM. As in a relay race the point of handover is a key point where the race can be won or lost. Having one single fully integrated sales and selling process will help to ensure handovers deliver wins. Companies frequently outsource the BD function, increasing the importance of fully integrated processes with careful handover procedures. Customers may be confused as they are passed from BD to NB then to AM. They may also be concerned that they are being moved about your organisation for your convenience rather than their service. It is important that you explain your engagement model early in the relationship building process in terms of the benefit the customer will gain from, for example, having the right specialists for each stage of the relationship life cycle. This message needs to be reinforced throughout the engagement process especially when different customer personnel are involved at different stages. It is common that the AM does not originate from a sales background, especially when the AM role is the responsibility of the delivery function. Typically the delivery project manager will become the AM for the customer. The key problem that arises with this, from the point of view of the supplier, is that a project manager who also has the commercial skills to function as a sales person is a rare beast. Even if you have people with both skill sets they will suffer; torn between time spent delivering and selling, but worse still they will struggle to get the relationship with the customer balanced so that they can switch easily from consideration for the project needs to the selling role. Ensure your AMs have training in sales skills and that they are managed, monitored and rewarded for sales achievement as well as delivery success.A related issue is that your AM will be primarily focused on delivery, with farming the account as a secondary responsibility. The risk you run is that your competitors, who want to steal your customers, will be matching your farmer with their hunter – is this a fair fight? This situation is at its worst when the AM approaches selling with a browser/gatherer mentality when it demands the proactive farmer, planting seeds and harvesting crops. As above you must ensure your AMs have training in sales skills. In addition it is important that your sales managers have as part of their responsibility the support of delivery AMs, particularly coaching them when they are in selling mode. Having separate managers for the three sales functions can create conflict especially when performance is below expectations. The resultant blame game and excuses detract from the required commitment to work together to resolve the problem. The three sales and selling functions and their managers need to have a single set of objectives to ensure all are pulling in the same direction. A common incentive scheme based on shared objectives will help to achieve the required togetherness. It becomes crucial to have objectives aligned to company goals and targets to create the right atmosphere for cooperative working, for example; if the company goal is to improve margins but sales targets are based on increasing new business revenue the opportunity for conflict is obvious. Having an effective CRM system can help to provide a framework for the underlying support required to ensure the complete customer engagement cycle operates as a single contiguous entity. It is common that CRM systems are primarily driven by marketing needs and are typically used less effectively as the customer relationship transfers to BD to NB then AM. Ensure the CRM is built around your sales methodology and processes and that it is the core system used to record any customer related and commercial matters. Users of the system should include anyone that touches the customer including, for example, your accounts, credit control and engineering functions. While the split role is the most common model used to organise sales and selling functions there are other models worth mentioning. The first is where the NB person remains responsible for the commercial relationship with the customer after a contract has been secured. There will be someone else from the supplier such as the; delivery, project or site manager that the customer will come to know but the roles of sales and delivery will be clearly demarcated in this model. This can work well but will require a close and trusting working relationship between the NB and project delivery team working with the customer. Sadly it is not uncommon that delivery staff feel projects were oversold leaving them with a difficult situation when trying to deliver what the customer thinks they have bought so the relationship with NB becomes strained. However, this model, coupled with the appropriate incentive plan, may provide a good vehicle for the creation of a more trusting, cooperative relationship between sales and delivery resulting in projects that are more feasible and more likely to delight the customer. The key to success here is early communication internally between NB and delivery staff, involvement of delivery staff in bidding so they know what the customer is being promised and an early introduction to your engagement approach for the customer. As with earlier points, it is equally important in this case that the customer understands your sales and delivery model avoiding surprises when new people are introduced once the deal has been done. For some companies and markets a go-to-market model built around agents, re-sellers or other forms of ‘outsourced’ sales capabilities is common. All of the previous points about hand-over, common goals and rewards, management and other process matters, organised to avoid a silo mentality apply to this model. In addition there are two potential additional issues to consider when contemplating this type of sales model. First; if your agents or re-sellers work for other suppliers as well as you particular attention will be required to ensure they are giving you the amount of attention you expect. Secondly; you need to be clear what role(s) they are playing for you; BD, NB, AM and delivery – if they are fulfilling all roles then there is a risk you will lose control of your customer base. This is a good model for many market sectors but it does require you to provide vigilant management attention to ensure you get what you expect from the relationship. All too often a decision to outsource sales in this way amounts to an abdication of responsibility by the supplier leading to a loss of control. Ideally responsibility for BD and possibly NB should be outsourced with AM and delivery being kept as in-house functions. Regardless of the degree of outsourcing it remains the responsibility of the user to actively manage the relationship to ensure the supplier delivers what is required and expected. Which ever model you choose to deploy, the same basic principles apply. You need to ensure it fulfills the three primary selling functions; new business development, new business selling and account management that pro-actively farms and grows the value of the relationship with the customer. You need to ensure the various components of your sales and selling operation are locked together by common; purpose, goals & objectives, management philosophy, rewards & incentives and KPIs. A good principle to keep in mind when considering which sales and selling model to deploy is: which will deliver the best ‘lifetime value’ from the relationship with the customer? This is a question that many people struggle with and getting the answer right is ever more pressing as networking events are increasingly popular aspects of business these days. It is also a question that is being asked in the on-line world of LinkedIn. Add to this the situation where you might be commenting in a discussion thread on LinkedIn where you want to communicate what you do as well as contributing information to the discussion topic. This requires a more subtle approach where you are effectively answering a question that has not actually been asked but may be implied in the original discussion topic. In answering decide what effect you want to create – just answering, commencing a conversation, or perhaps the very early stages of starting to prospect for business. Context. It is very important that you consider the context in which the question is being asked. For example, if you are at a conference where the topic is data security on mobile devices, it is reasonable to assume all attendees will have an interest in some aspect of that topic. This should be used as a guide and your answer should focus on what you do in the context of the conference topic/focus. Be aware of course, that if you are a supplier in that field, you maybe conversing with a competitor. You also need to be aware of other contextual factors that might help you provide a meaningful answer. For example; it may leave the other person cold if they come from a banking background and you tell them all about what you do in the shipping industry. Clues. Under context I provided a couple of examples of information that might condition your answer; conference subject matter and the industry of the person asking the question. These and other clues can help you make the answer meaningful and personalised. Some other examples are; location, company size, job role of the person asking. If you know the location of the person asking you can include in your answer a word of two that positions you as having a footprint in the area or understanding specific regional issues and challenges. Being aware of the size of the enquirer’s company means you can further personalise your answer demonstrating that you understand the challenges of; start-ups, SMEs, global or public companies. In crafting your answer, knowing the other party’s job role is also very useful; a CIO and FD are each likely to have their own perspective (field of interest) which your response should address. Decide on the tone you want to adopt; formal/informal, serious/humorous, provocative, audacious, etc. In an attempt to be clear, people try to provide so much information that their message is lost because it becomes too complicated. Keep it short, sharp and sweet. Avoid jargon, acronyms, or big words. You may think it sounds smart but in many cases it will be a turn-off. Beware of acronyms in particular; their interpretation may not be the one you intended. Simple is better and less is more are good guides to keep in the back of your mind. Avoid drivel such as “I have a passion to understand your pain points so before answering may I ask you …?. Much too Uriah Heep-ish! Avoid making unsubstantiated claims such as we save time and money. Unless you absolutely know you can do this in every case it is a dangerous claim to make when you do not know their circumstances; even if it is true it is unlikely to sound very credible to someone you have just met. When thinking about your answer it is good to have it in mind as a newspaper headline or a tweet – you have limited space to get your point over. What you say in answering the question is a very high level summary of what you would say if you have 30 minutes to answer the question but typically; if you can’t answer in 30 seconds you probably can’t answer in 30 minutes either. Your answer should work at every level. James Potter (The Linked In Man) recommends that you effectively answer this question in what you say about yourself in the headline of your professional profile on LinkedIn. This makes the information available with any contributions you make on LinkedIn. Remember they have asked you what you do. They may be asking just to be polite or they may really want to know so whatever you choose to say it must attempt to address the what. Even if it was just a polite conversation piece you may have the opportunity to turn it into something valuable for both parties so make sure your answer piques the interest that may be lying dormant. To achieve this, your answer could tell them ‘what you do for them’ in terms of the results you have achieved for others in a similar circumstance. You need to be concise and try to structure your answer so that it is the beginning not the end of the conversation. If you are able to answer what but preface with some how that will help to create the impression that you are someone they should have a longer conversation with. For example; “We do … and, as a result, our SME customers typically gain … improvement in customer satisfaction”. By focusing on the potential outcomes gained it is less likely to sound like a generic answer. You have managed to tell them what you do, the type of customers you work for and the benefits they have gained from working with you. The question is inspired by a book; Who Moved My Cheese, written by Dr. Spencer Johnson first published in 1999. 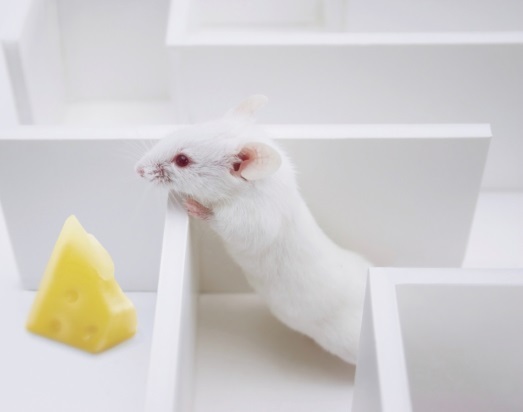 The book tells an amusing story of four mice who live in a maze and in a particular part of the maze there is a permanent supply of cheese so life is good and easy. Unfortunately a day arrives when the cheese isn’t there and the book goes on to illustrate different reactions to, and strategies to deal with, this state of imposed change. Cheese is a metaphor for anything that we might want or need and in this article I explore two areas where many businesses are suffering imposed change to; the way they define and present their propositions and the way they take those propositions to market. In the book, the mice handle the unexpected change in different ways and basically two of them stubbornly keep returning to the same place hoping the cheese will be there** while the other two, aptly named Sniff and Scurry, immediately go looking elsewhere. you’ll keep on getting what you’ve always got” comes to mind. So where can the two heroes Sniff & Scurry help in this context? Your proposition is the combination of products, services and also your mode of operation ** (how you do what you do) that creates your unique proposition. This is what you provide that customers can buy to address the needs and wants that they wish to satisfy. **We were asked to undertake a review of customer satisfaction for an organisation where we were already working. One important outcome was that customers liked them having a human, UK based, service desk that worked extended hours and was able to act to rapidly dispatch vital parts. The organisation had been contemplating replacing the human service desk with an automated one – phew; lucky escape! The proposition should clearly demonstrate your ability to satisfy customer needs and wants by delivering a positive means to achieve the required change. If these needs have changed then your proposition will no longer look like a good match. Someone may have “moved your customers’ cheese”! You need to undertake research to understand what current needs/wants actually are and build this into you account management and new business selling processes. Consider the price, cost and value of your proposition. Your price may look high compared to your competitors’, especially new market entrants, and you need to ensure the presentation of your proposition focuses on cost and value. The price charged by a competitor may be lower than yours but the total cost of ownership may be higher (for example the total cost of ownership for a cheap air fare is the ticket price plus all the extras they require you to pay); so don’t be shy, it is your job to demonstrate this to ensure the customer understands the full value they will gain from buying your solution. A key part of the previous step is actually recognising and accepting your weaknesses – the proposition scope; what you say you can do, must be what you can actually do not what you wish you could do. If that scope leaves you vulnerable to competition you must act to address it otherwise your cheese will be moved! It is common that suppliers consider their proposition to be attractive to certain vertical markets and if this is genuinely true then it is a valuable asset to have. However, it is all too easy to be seduced into believing you have a vertical offering, because you have a cluster of customers in the same type of business. The majority of businesses have horizontal offerings and the reason for the apparent vertical capability is typically based on an outbound marketing and sales focus on particular market sectors. This leads to a self-fulfilling belief which rarely stands up to scrutiny when a customer is really in need of a supplier with vertical business knowledge. This also means the supplier is limiting the breadth and depth of the market they can genuinely service. When presenting your proposition avoid the trap of telling people what you do – tell them what they will get; paint the picture, help them visualise and understand what the end result will look and feel like. A common reaction to falling sales is for the supplier to start ‘shouting’ at prospects saying how wonderful they are but this usually falls on deaf ears. This reaction is often accompanied by internal conversations along the lines of “they (as in customers) just don’t get it” when it is actually the supplier that doesn’t get it. In an apparent contradiction to what I have just said you should never lose sight of the fact that you might just have something that is genuinely new that people will want once they realise they have the need that you satisfy. When the Walkman and the tablet computer were first launched there was to some extent a leap of faith that people would want to use them. These products were creating the desire rather than just responding to it. With any disruptive solution there will be a shortage of supporting information so the launching of such a proposition comes with a high risk of failure and this can be, and usually is, a costly diversion so; approach with caution! Don’t kid yourself; be rigorous, do all you can to explore the potential but don’t get wrapped up in over ambitious self-belief, but having taken all these doses of cold water you might just have something that no one else has thought of. Your suspects’ profile will define things such as; business activities, processes and style, size, location and all other factors that together represent the type of organisation you think will be really attracted to your proposition and that you will be able to service successfully. This is how you separate the wheat from the chaff for the effective use of your resources. Research and search for potential customers based on the profile and checklist you created. Bear in mind whether you have a truly horizontal or vertical offering and market – don’t be seduced into the wrong direction. Consider the many options available to marketeers and decide on the right mix of marketing options to match the chosen market and your proposition. Techniques such as solution or consultative selling are very adaptable and often prove to be the most suitable approach. Is your market mature and does it understand its own problems or might your sales people need to ‘educate’ prospects as to the range of solutions that are available? If your customer has had their cheese moved they may have developed some prejudices about the correct solution to their needs/wants in which case your sales strategy must be robust enough to challenge entrenched positions and provide enlightenment. A word of caution; it may be that the customer has developed beliefs about their need and the potential solutions through contact with other suppliers so be careful not to appear to be rubbishing your competitors – focus on your positives not others’ negatives. When the evolution of propositions and requirements start to move along different paths the engagement process often focuses on price which is a game with no winners. You need to ensure your marketing and sales thrust is based on Value and RoI not just the price. If you feel your cheese has been moved, and it came as a surprise, you need to review the way you are monitoring your business, your market and your customers. You must ensure your business management systems and processes provide you with pertinent leading indicators; it is much less painful to dodge the pothole than to repair the tyre after you’ve hit it. Most of this article has focused on doing things systematically which is generally the safest route to success but you should also allow and facilitate free thinking as part of your business review and planning process. Free your mind, break with convention, think the impossible and it might just become possible and sometimes the audacious land grab can work delivering a great jump in performance and results. Having decided what customers need (or will desire) and what you are able to supply, you now have a guide that will help you build a profile and checklist to identify your likely ‘suspects’ and indicate how and where to find them. Speed kills sales deals; so does overselling. As true road safety experts will tell us the killer is inappropriate speed for the conditions; this is also the case with sales deals – the pace of engagement needs to match the needs of both parties. Overselling is characterised by the sales person doing more than is required and never quite getting to the point of asking for the order and they usually lose as the prospect will have passed the point when they were most likely to have said yes. This is an example where the speed is too slow for the conditions. A common example of a situation where the speed is too high for the conditions is the classic double glazing story where the sales person takes up residence in the potential customers lounge and stays until they get the order. The householder may well say yes just to get rid of the sales person but cancel the order the next day. Not only is this a waste of time for both parties it will cause some damage to the supplier’s brand. Speed Kills? So set the pace appropriately! Should I be Mr Hare or Mr Tortoise today? There is a general feeling these days that everything has to be instantaneous but impatience is now a common cause of poor decision making. The example quoted earlier, where a prospect says yes at the point of sale then cancels the order later, is what is known as “buyer remorse”. Having acted in haste, the buyer is avoiding the second part of the saying which is to repent at leisure. Even worse, not only does the first company lose the order it often opens the door for a competitor – the first company does all the work educating the prospect and a competitor collects the prize. In business there are guidelines such as calls to be answered within three rings, or if someone making an enquiry leaves details we must get back to them within two hours. While I fully agree with the setting of targets it becomes an issue when the speed of response is deemed more important than the quality of the response which, in my experience, is often the case these days. This behaviour usually comes with inducements from the supplier such as; discount, BOGOF, free maintenance, pay for 12 months get three extra months free, etc. This is a major cause of mistrust of sales people as the “offer” can feel too good to be true which leaves the prospective customer suspicious when what is required for effective commercial engagement is trust. An alternative word to speed, which perhaps better portrays the topic, is pace. For a business negotiation to proceed successfully, the parties need to be moving towards the shared goal at a similar pace and towards an agreed date for arrival. There will be typical patterns for different industries and types of proposition. The sales cycle for commercial aircraft is measured in many years while a decision to move to a hosted cloud solution might be two to three months for a small business stretching out to nine to twelve months for a large business with multiple sites and 100s of users. So, knowing your industry and what might be typical is an important input to the thinking. Of greater importance to knowing the industry norm is putting in the effort to “know” the individual prospect otherwise the result will be a generic response to an individual need. Review the timescales associated with deals you have done in the past two to three years. Look for patterns to create guidelines that you can apply to future deals and be aware of changes that may have happened over the period of observation (many businesses are reporting lengthening sales cycles). Lay out the steps you need to go through in getting from a first meeting with a new contact through the point of identifying an opportunity for which you will submit a proposal. Allocate the time you think will be required for each step taking account of the information you have about past deals. Define the steps required to pursue an opportunity through to the point of decision. You will need to give due regard to all the factors the typical customer expects; formality/informality, RFIs/RFPs, allocation of time for; multiple meetings with multiple contacts, presentations, proposals, site visits, etc. If you collaborate with people outside of your business to help win new work you will need to consider their time constraints. The combined results of these steps, will enable you to create a framework – a skeleton plan and timetable – for a typical scenario when taking a new contact through all the stages of becoming a customer for you. Combining all of the above you now have the makings of a process of prospecting for new business, you have a model timetable, your staff know what they must do and by when and you know what you need to do to meet prospects’ expectations. As mentioned earlier to be successful you must consider the individual customer, so why not ask the customer if they have a preferred decision model and associated timetable? If they do, review it and if you are happy with it formally agree that is what you will work to. If they have a decision model but from your point of view there are critical gaps, then negotiate to fill those gaps and get sign off on the new composite model and timetable. If they do not have something, which is more common than you might think, then present your model and ask if they are agreeable to work to it. There may be some debate around detail but reaching agreement should be quiet straightforward and as before both parties should sign off on what has been agreed. Either of these last two approaches will lead to a win-win scenario in terms of building trust and helping one another to improve the engagement process. You now know the appropriate pace of engagement for your market and you have a mechanism to determine the correct pace for each prospect so you can set expectations with the prospect, your staff and suppliers. This structured approach will, over time, also enable you to build more realistic and reliable sales forecasts. This approach will also help in cases, as discussed in the June newsletter, where customer decision making is unpredictable – with an agreed and common process outcomes will be much more predictable. Health warning – the proposed approach will probably make life harder initially but once the process is established the rewards will become obvious. Overselling is about doing too much, doing the wrong things and/or doing things in the wrong order. In most cases overselling also leads to suppliers taking too much time to get the prospect to the point of stating their decision. Too many products. If you have multiple products or services focus on the ones that directly relate to the issue the prospect is wrestling with at the time. By all means make them aware of the full range of what you do but in a 30 minute meeting this should take 2 minutes with the rest of the time being focused on the matter at hand and the solution you are offering. Make sure you do the first deal very well and there will be plenty of time to come back and sell them more of what you do; give them the taster for your solutions and they may be more willing to commit a larger investment next time. If during the conversation about the current issue they raise a separate unrelated matter, acknowledge it and ask if they are happy to “leave that to one side for now”. If they have decided issue two is more important you can switch, otherwise stick to plan. Too many benefits. Can there be too many I hear you ask? There can; this starts with an approach where the sales person assumes they know what will be of benefit to a specific prospect. For example, it is common for suppliers to assume that everyone wants/needs to save money. Of course no one wants to pay more than they need to but equally no one wants to buy something that is inferior or unreliable for the sake of saving a few percentage points on the price. A subject discussed in previous articles, is the need to appreciate the difference between Price, Cost and Value when making buying decisions and sales people need to have this in mind when presenting their offer and the benefits. In the early stages in the engagement with a new prospect you establish what matters to them with respect to the solution you are discussing; size, colour, weight, speed, delivery time, maintenance intervals, throughput rate, service intervals, repair response times, power usage, … It will differ from industry to industry and within that from prospect to prospect. Consider each feature of your proposition and how it can deliver against the criteria that matter to the individual prospect. For example if your product delivers a very high throughput rate, and this is significant to your prospect, they will see it as a benefit of choosing your solution. If this was not an issue then the prospect may see the feature as irrelevant and potentially something that makes you more expensive than a competitive offer. Summarise all the relevant benefits your proposition can offer and ask the question “If I can demonstrate that our solution will do; X, Y and Z, and that we can deliver by dd:mm:yy will you go ahead and order from us?” The demonstration that you have the features to deliver what the prospect needs and that you can deliver in a timescale that you know matters to them provides an overall benefit for them in dealing with you which in turn will act as the incentive to go ahead with you. A benefit only applies if it satisfies an explicit need and anything else is just hot air that, far from adding value, is certain to detract from the things that you can do that actually matter to your prospect. Scary I know but even for complex deals three or four benefits are probably enough. Over promising and under delivering. Do I need to say much on this? Too many potentially good relationships are spoilt by suppliers offering more than they can deliver and even if the prospect needed everything offered it would be far more honest to offer what can be delivered well, as you will be quickly found out. Find out the real needs, focus on your features that satisfy those needs (by delivering the benefits that matter), confirm and re-confirm that the list of requirements is complete and that your prospect acknowledges that you can deliver the complete solution. Now; some good advice from way back runs “ask for the order and shut up”. We all have two eyes, two ears but just one mouth; use them in that proportion. Don’t break the silence, don’t offer to do more; make the offer, ask the closing question and shut up.